The Qualification of Electors Act extended the right to vote (or electoral franchise) to all European men aged over 21, regardless of whether they owned or rented property. 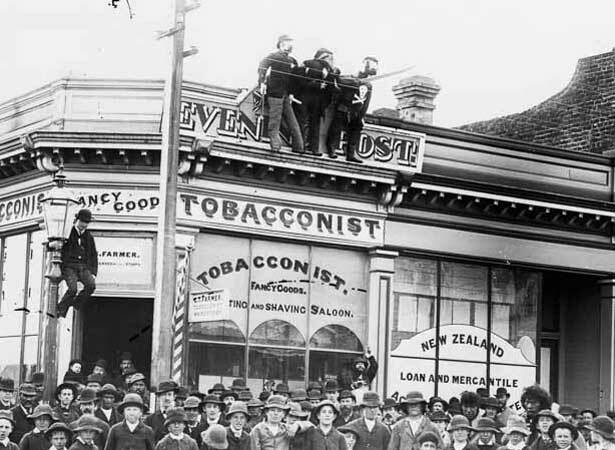 This reform, known as universal male suffrage – or, at the time, as ‘manhood suffrage’ – helped transform New Zealand’s politics in the late 19th century. In New Zealand, as in Britain, the franchise was initially based on the possession of property. By the 1870s electoral reformers like William Reynolds were arguing that all men (with some exceptions, such as criminals and ‘aliens’) deserved the right to vote. By 1876 piecemeal reform efforts had created a bewildering range of different franchises for freeholders, leaseholders, householders, goldminers, lodgers, ratepayers and Māori (Māori men had been granted universal suffrage in 1867, to vote in four special Māori seats). There seemed to be majority support in Parliament for a simple manhood suffrage, but further action was undermined by the unstable political scene of the late 1870s. In 1878 two rival bills were introduced: one by Robert Stout, the young attorney-general in George Grey’s government, the other by his predecessor, Frederick Whitaker, then in Opposition. Whitaker’s radical bill – it proposed proportional representation and allocating Māori seats on a per capita basis – failed to gain support. The government bill stalled in the Legislative Council (the upper house) and was eventually abandoned. Grey’s government was soon defeated and a new election held. In October 1879 John Hall formed a new government and Whitaker returned to Cabinet. He introduced a new Qualification of Electors Bill, granting the vote to all adult European males after 12 months’ residence in New Zealand and six months in an electorate. This was comfortably passed on 19 December. The next election, on 9 December 1881, was the first held under the new franchise and also the first in which voting in all European electorates took place on the same day. Manhood suffrage had an immediate impact. In 1879 there were 82,271 registered voters – about 71% of the adult male Pākehā population. In 1881 there were 120,972 (91%). The character of Parliament also began to change, as more ‘working men’ were elected in the 1880s and 1890s. We have 3 biographies, 4 articles, related to Universal male suffrage introduced.